I'm still progressing on from work done in my Ledger. This is taken from the first page. 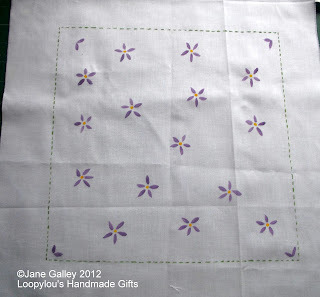 I've used some white cotton, and have painted a "stitched" outline and flowers in the centre. The next stage is to add some hand stitched embellishments, but so far, I am enjoying looking at it draped over my airer. so happy to hear that you are still working on your ledger! I love the purple flowers. I know you will eventually embellish this, but I think it's delicate and beautiful as it is. 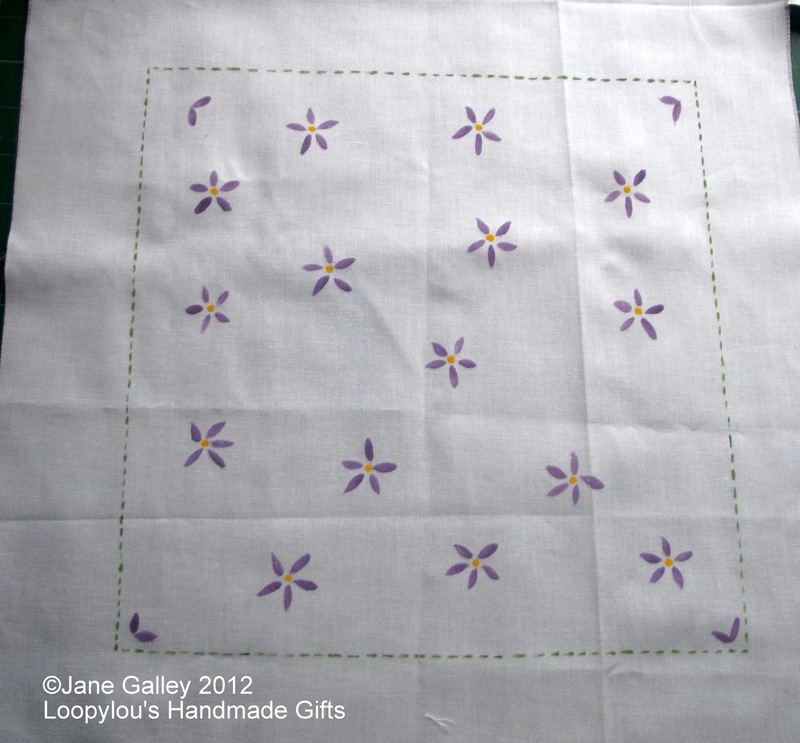 Just lovely as is and I cannot wait until you start to embellish this lovely piece of work.